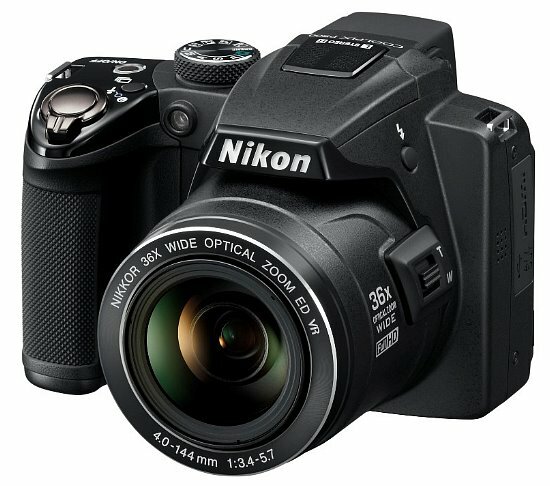 Nikon's CoolPix P500 is an incredibly versatile and fun camera to operate. Sporting a 36x optical zoom lens, 12.1-Megapixel Backside Illuminated CMOS, 3.0-inch LCD and 1080p HD video capture this camera is capable of more than just fun. Its overall image quality is a concern and may lead you to look at other Mega-Zoom models. Read more in our Full Conclusion. Nikon is well known for their powerful P-series of super-zoom cameras, and their latest edition is the most powerful model yet. The Coolpix P500 boasts the longest zoom ever integrated in a Coolpix camera, with 36x magnification. Nikon has also incorporated their Nikkor ED glass into the lens construction, which has been passed down from their D-series dSLR lenses. With a 22.5-810mm equivalent zoom range, the P500 is ready for just about any photo opt with one of the most versatile focal ranges to date (8/2011). Other key features on the P500 include a 12-megapixel BSI (BackSide Illuminated), CMOS image sensor, Nikon's proven hybrid Vibration Reduction (VR) system (Sensor-shift + Digital VR), in-camera HDR, up to 5fps burst mode shooting at full-res, 1080p HD video option, and a awesome 3.0-inch Vari-angle LCD screen to name a few. The Coolpix P500 is available now with a suggested retail price of $399.95 US. See our buy box below for the most current online pricing.